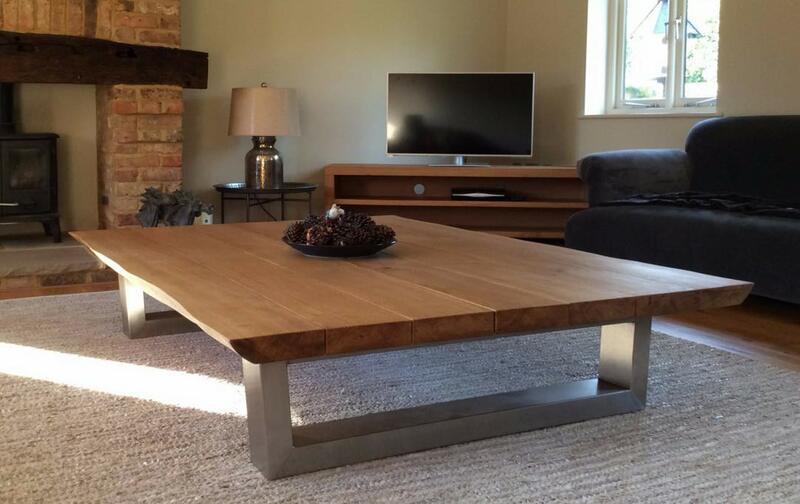 Our industrial coffee tables are specifically designed and engineered to be super strong and rugged, ensuring that they’ll remain functional and looking good for a lifetime. 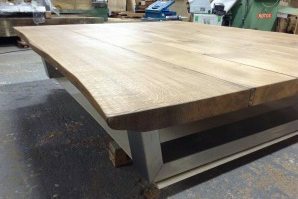 Using a combination of high grade solid oak and brushed stainless steel, we can create a table to suit your style and size requirements perfectly. 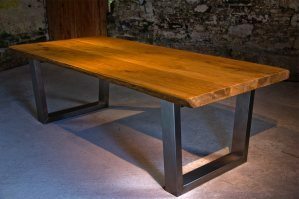 All our tables are built in such a way that they will never weaken or look shabby. One of our tables will last for generations. 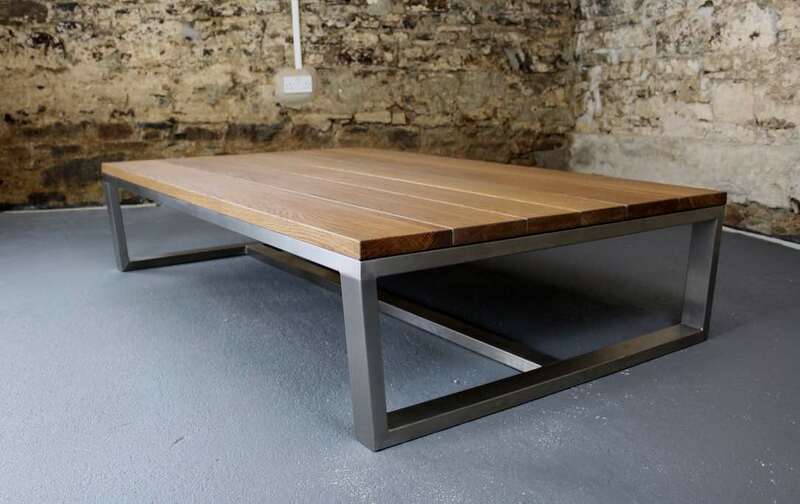 The iguana is precisely engineered modern industrial style coffee table with a solid oak top and hand welded brushed stainless steel base, which tapers in slightly towards the bottom. 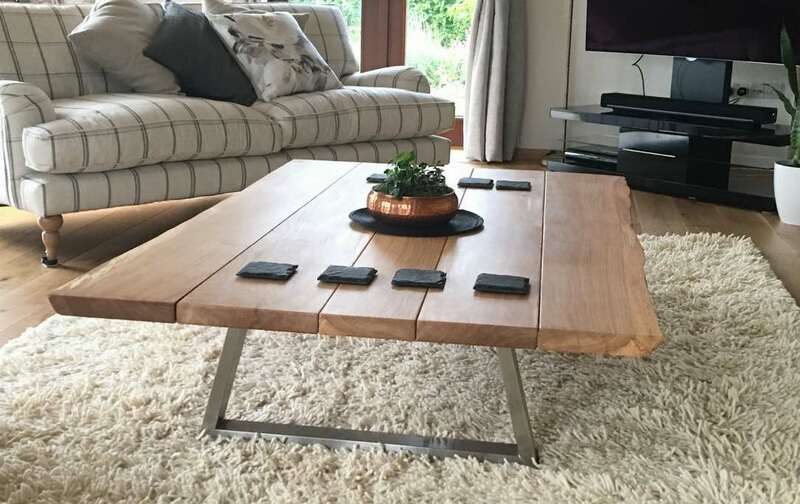 For the table top you can choose either solid oak, or a high quality birch plywood coated in a smart surface finish, which is incredibly resistant to stains and scratches. 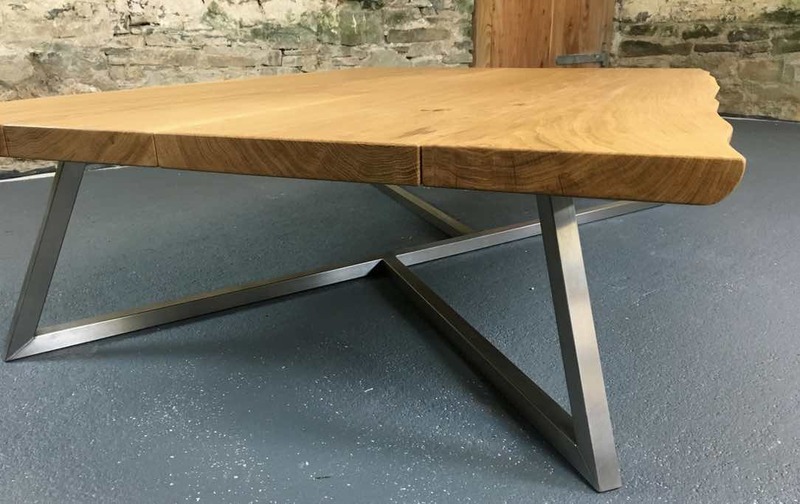 Made with a solid oak top and brushed stainless steel hand welded base, the Scorpion coffee table utilised clever angles to make this table a truly unique centre-piece for any space. 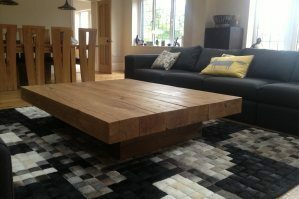 The Piranha is a contemporary style industrial coffee table that comes with either a 30 or 40mm solid oak top. You can also choose either a straight edge or live-edge. 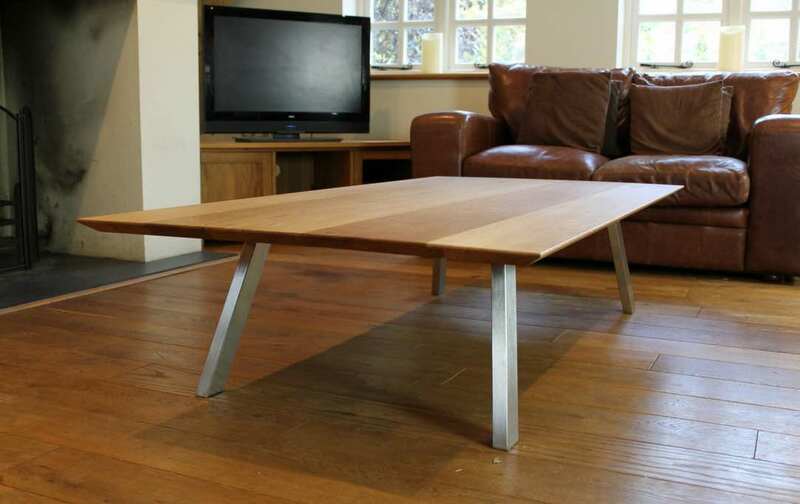 This table makes a stunning contemporary centre-piece.